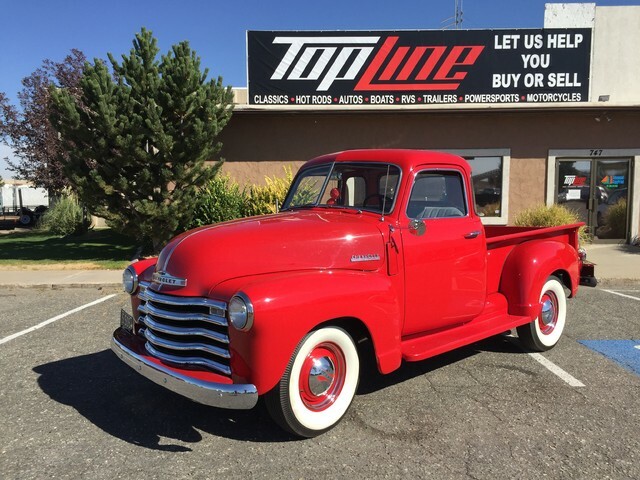 This truck was restored at a cost of over 40K in 2003, and has been stored in a garage with a cover on it, with minimal use, it is in excellent show condition, top to bottom, the owner has retired and would like to sell it for some travel money for his retirement, so if this truck is what you would like to cruise your local town and car shows now is great time to grab this beauty.. The truck was completely torn down, and refurbished, every bolt ande washer is stainless with 12 volt wiring system, it has a newer 235 6 cyl engine (oil pressured) w a 3 speed on the column, new paint, new chrome, new tires, hub caps and rings, new interior, new trim, new wood in bed & chrome strips & SS bolt kit, new gas tank & fuel lines, new brakes, all new in and out. to much to list it all. Stop in today it wont last long! Recently a black one sold at this years Barret Jackson for over 67k! Prices on trucks are hot!